Flowers are meaningful in Chinese culture. Gifting flowers is a relatively modern phenomenon in China. Different flowers have different meanings in China therefore, the time & occasions of sending flowers should be carefully selected according to the situation. Roses, Gerberas, Carnations, Lilies Tulips and Orchids are the most widely gifted flowers in China. 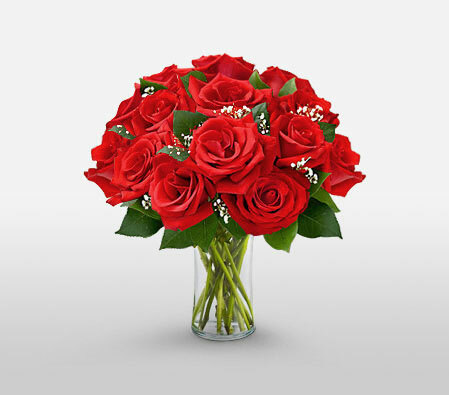 Send flowers same day to China using our local florists & flower shops. Order by 12 noon. Send Easter Flower Arrangement, Easter Hampers & Gift Baskets to China. Send Roses, Carnations, Lilies throughout China for occasions like Birthdays, Anniversaries, Funerals, etc. Enjoy affordable flower delivery across Shanghai, Beijing, Guangzhou, Wuhan & nationwide delivery. From exquisite bouquets to gift baskets to flowering planters, you are sure to find the perfect expression of your feelings in our floral boutique. Simply choose breathtaking ensembles from our lavish collection and get flowers delivered to China today. You can also send flowers across China, from Beijing to Kashgar and express your heartfelt gratitude and love for those closest to you. How do i send International Flower Delivery to China? 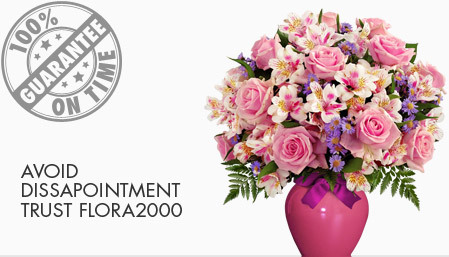 Flora2000 has transformed International flower delivery to China into a fine and effortless art. With our efficient flowers & gifs delivery services worldwide; you are sure to find the perfect expression of your message to your loved ones. Be it Roses, Lilies, Carnations or Cakes, our gifts are sure to make both the sender and the receiver happy. We make sure the gifts you give reflects what you feel about the receiver. Valentine's Day is also celebrated in China, as is related as Daughter's Festival. It is held on the 7th month and 7th day of the lunar calendar and celebrates a love story between the seventh daughter of the Emperor of Heaven and an orphaned cowherd. Do not give shoes to your lover - It means you want the person in your relationship to walk away or the relationship is going to ends soon. Do not give a wind chime – ‘Wind Chimes’ represents ‘separation’. Chinese culture believes in introducing different bamboo types in their boardrooms and meeting rooms for good luck and prosperity. About 20% of countries of the world celebrate Chinese New Year. It is the most important holiday in Chinese tradition. Commonly called as Chunjie or Spring season. This year it will be celebrated on 5th February. Chinese New Year marks the beginning from January 21 to February 20. People pray for good harvest and planting. They also have a tradition to burn crackers, fake paper money and printed gold bars to pay a tribute to their deceased loved ones. Its an auspicious day to arrange a family reunion. Majority of stores are closed during this festival so people prefer to buy uy nian huo (年货), or New Year’s products way in advance. A quick trivia about it is that Sweeping and throwing out garbage isn’t allowed before the 5th. The purpose is to make sure you don’t wash away the good luck. A harvest festival celebrated by Chinese & Vietnamese people in East Asian communities including China, Taiwan, Japan, Singapore, South Korea, Malaysia, Vietnam and The Philippines. Traditionally it falls on 15th day of the eight month – a full moon day. In (1045-221 BC), some of the Chinese emperors worshiped moon to bring a vast harvest for the following year and since then it’s a ritual which is carried generations to generations. We have an exclusive collection of flower arrangements, hampers & baskets for this Easter. Our classy collection of flowers & Gifts for Easter to China.